Bodhisattavacharyavatara. byang chub sems dpa'i spyod pa la 'jug pa. Entering the Conduct of The Bodhisattva by Shantideva. Siksha Samuccaya A Compendium Of Buddhist Doctrine by Santideva. Mañjuśrī’s Advice: A Concise Commentary on Shantideva’s Entering the Path of a Bodhisattva. The Garland of Jewel Ornaments by Rongtön Sheja Kunrig. Bodhicaryāvatāra: Teachings and Overview by Alak Zenkar Rinpoche. Epitome of Shântideva’s “Entering the Path to Enlightenment” (Bodhicaryâvatâra-Samgraha) Compiled and Translated by Georg Feuerstein, Ph.D.
Conférence GILLES BEGUIN - DIEUX DU TIBET. - [Conférence] GILLES BEGUIN - DIEUX DU TIBET from Laurent & Viel on Vimeo. Langue Tibétaine - Tibetan Langage. Tibetan medicine - Sowa Rigpa - Médecine Tibétaine. byang chub sems dpa'i spyod pa la 'jug pa. Bodhisattavacharyavatara" by Shanti Deva. Motivations for Life: The Bodhisattva Way for Creating a Joyous and Meaningful Existence, a public talk with Yangsi Rinpoche presented by Shantideva Meditation, April 1, 2012 at Tibet House, New York, New York. Geshe Norbu Shantideva Guide to the Bodhisattva Way of Life. Brief Explanation of Shantideva's Guide to the Bodhisattva's Way of Life by Geshe Gyalten - Ananda Dharma Center. archive.org Tse Chen Ling Geshe Ngawang Dakpa. Khenpo Pema Wangdak, Shantideva's "Bodhisattva's Way of Life" . 7-15. A Guide To The Bodhisattva's Way Of Life by Shantideva. The Path of Light - The Bodhi-Charyavatara of Shanti-Deva. BODHISATTVACHARYAVATARA : by Dzigar Kongtrul Rinpoche. archive.org Ven. 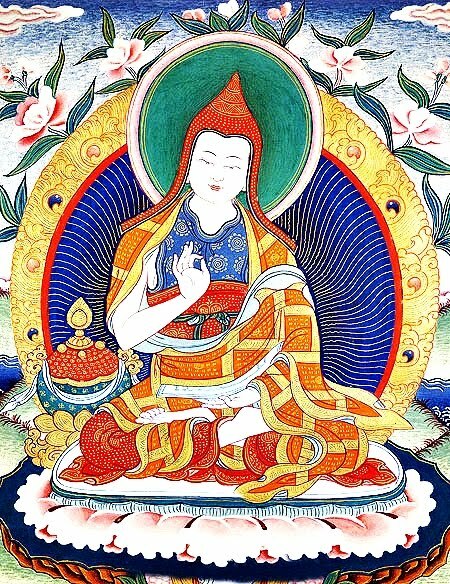 Geshe Ngawang Dakpa.